This entry was posted in Beliefs and tagged 7th Day, Armstrong, Church of God, fulfillment, Jesus, law, Luke 6, rest, Sabbatarian, Sabbath, Salvation, WCG, withered hand, work, xCG. Bookmark the permalink. John 13:35 “By this all men will know that you are My disciples, if you have love for one another.” So I agree with you – He did not say that Sabbath observance would be the way to determine whether or not someone is a disciple. So you’re right; our past organization, and probably many current ones, seem to have that belief. Anyway, happy Sabbath. I, for one, am extremely grateful for it. John 13:35 “By this all men will know that you are My disciples, if you have love for one another.” So I agree with you – He did not say that Sabbath observance would be the way to determine whether or not someone is a disciple, though we have certainly used it as such. That being said, the Sabbath is a gift from God, a blessing, and a sign. A sign to identify God’s people? NO – a sign ‘that you may know that I am the LORD who sanctifies you’ (We always somehow read that backwards, didn’t we?) There is much more to following God than just observing the Sabbath, and the Holy Days, and none of us have it all. The Mark 9:38 verse is one that has recently come up in my studies. How do we handle that one? I’m still studying. I am convinced in WCG my Sabbath / Holy Day observance held too high of a place in my life. In the late 1990’s Jesus pruned everything back to Him and started fresh. It hurt, but I’ve come to know Him better than I ever could otherwise and He has been faithful. Something miraculous happened, too. I was forced to trust Him and rest my entire salvation on Him, instead of trusting in my obedience. I’m still learning about obedience motivated by joy and a relationship with Him, versus an obligation (Isa 58). I hear from 7th-day observers and the Bible teaches that those who love God, keep His commands. 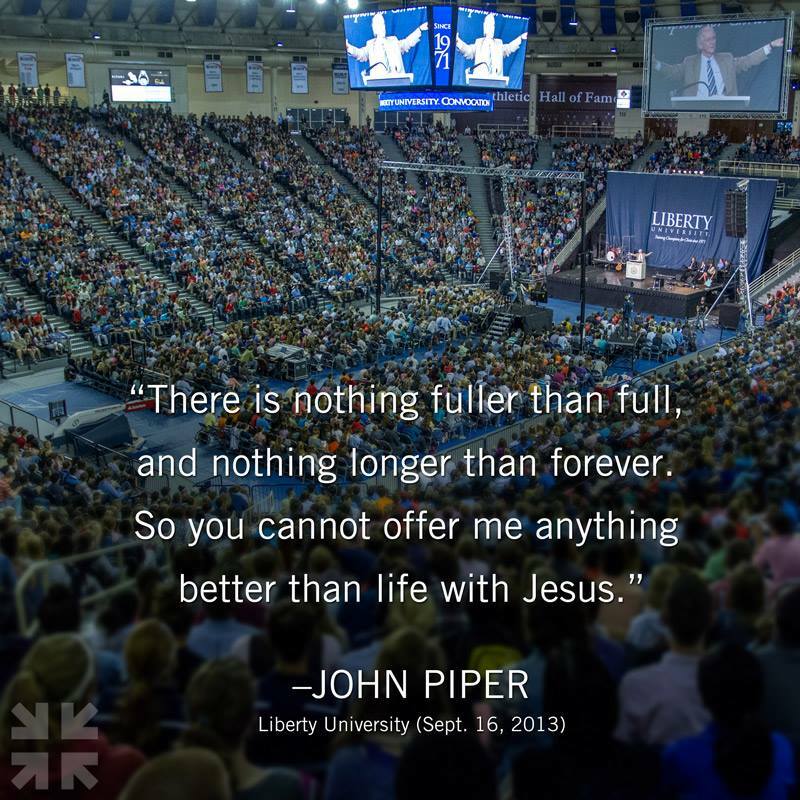 I’m reading John Piper’s book, “When I Don’t Desire God, How to Fight for Joy.” Piper makes a great point regarding this Biblical teaching, “I (Piper) reject the idea that love for Christ is identical to mental or physical acts done in obedience to his Word. When Jesus said, ‘If you love me, you will keep my commandments’ (John 14:15), he was describing the effect (Piper’s emphasis) of love, not the essence of love. First there is love, then there is the effect-obedience. The obedience is not identical with love.” Chapter entitled, “The Call to Fight for Joy in God.” Kindle version 10%. Somehow I have thought, “If I obey, I will love.” I no longer think that because when I met Jesus, I loved. Then obedience followed. It was all gray and murky in WCG. The emphasis was so much on obedience to the point of military style adherence to the detail of “do this,” “do that,” “don’t do this,” etc. One splinter group some family members are in tell their congregations what to believe – down to certain prophecies. They probably have no idea how much controlling detail they are putting on their followers. The relationships suffer due to all that control. And then there are the splits. It hurts and pains many. When we get to know the true Jesus, our lives change and we produce fruit – sweetness that I admire in others. I want the essence of loving Jesus, then the obedience follows. I think any fruit in my life may still be quite bitter and tart. One day, by His grace I’ll mature. Thanks for reading. All the best (and the best is Jesus). Thanks, Mark! I’ve been studying John and had these same thoughts, about Jesus healing on the sabbath and being rejected for doing so…John 9… love how the Holy Spirit confirms right on time! Donna: I absolutely love John 9. That story gets right to my heart. So good to hear how the Holy Spirit is ministering to you. Those confirmations are encouraging. Thanks for reading. All the best (and the best is Jesus). Mark, two thoughts spring to mind. The first is that any time you say to someone (like your spouse) “you ALWAYS do xy or z” thing, you are cruising for a bruising, right? 😉 Twice in this article, you have said this: “xCG’s *always* have within their walls those people who watch carefully to see who is breaking the Sabbath.” You also posit that “Jesus is minimized, secondary.” You must not be attending Sabbath services with the same people I am! I’m guessing it has been a long time. 🙂 There are probably some people somewhere that gleefully hope they are doing something better than others, but in the circles of Sabbathkeepers I run in, I don’t see a lot of judgement of one another and the emphasis is ALL on Jesus. Secondly, I live in the South, like you did, where the one defining test of whether you are a “good” Christian is whether you attended church last Sunday, not just “are you saved?” The types of attitudes you describe are easily transferable to those who keep Sunday as the Sabbath. (My son does lawn work for a lady and is forbidden to do it on Sundays out of fear of what her fellow church members would say.) My point is, I wouldn’t throw out a gift from God meant to give us the time we need to strengthen our relationship with Jesus Christ based on whether flawed people take part in it, too, or we won’t be accepting of a lot of gifts! Jesus kept the Sabbath as God intended it to be kept, instead of how the Pharisees intended it to be kept. That in no way diminishes His remembering the Sabbath Day and keeping it holy. I choose to follow His lead on that. Like you said, “It’s Jesus who calls the shots on the Sabbath, not religious leaders or churches.” I don’t think you’d call Jesus legalistic — so why assume and even proclaim that all other Sabbathkeepers are? That’s a pretty harsh judgement. ‘Nuff said. I hope you guys are weathering Uganda well! Hi Glen & Laurie: thanks for reading and making comments. I have modified the article that read “xCG’s always have within their walls…” to better communicate my thinking. I somewhat agree with you. Here’s where I’m coming from – my experience in WCG (congregations which did have the liberal and conservative Sabbath keepers); the United Church of God split (which I followed online and the catering they did to the conservative Sabbatarians – granted those documents may or may not portray reality); my experience with family members who remain in more conservative xCG Sabbath-keeping churches; my experience with 7th Day Adventists and finally after reading Glen’s link, my experience with a 7th Day publication, The Sabbath Sentinel. Now the last statement may surprise you, but here’s the message the publication sends to me as an outsider. The name of the publication – Sabbath Sentinel. What is the message? Sabbath. What is a sentinel? It’s one who watches or guards! Glen & Laurie, you just proved my point. A guard is to carefully protect, watch and guard what? The Sabbath. It can be worded positively in the pledge. It can be pledged, Jesus is first. But what is the important message? Not Jesus, but the Sabbath – an issue that will not be budged on. What’s the website? What is named and glorified? The Sabbath, the shadow. The end of the pledge – spread the news to tens of thousands about what?….the Sabbath. It’s on the names of some of the churches – a Sabbath fellowship or 7th Day. The Gospel becomes, unfortunately, the Sabbath. It is the shadow being emphasized over the Savior. I do agree about the Sunday keeping and “good” Christians and that it can be easily transferrable. No question there. I understand legalism is alive and well within the walls of churches who attend worship on Sundays. No doubt there are legalists there who are on the watch every week for legalistic things. Absolutely. Our pastor in NC fights legalism constantly because he grew up with it (and attended church his entire life in legalism on Sundays). I do honestly appreciate that point. It’s well taken. And with my background I tend to still err to legalism. RE: the gift of the Sabbath (Anna referred to it too). Certainly I understand the view of Sabbath as a gift. My problem is when the gift out communicates the One giving the gift. How respectful would it be if my children constantly paraded a gift around the neighborhood, emphasized it, made a publication about it, set up a website about it and started holding a club for that gift rather than focusing on their relationship with who I am as a parent / gift giver? The message being we want everyone to receive this gift of the Sabbath. I’m not aware of anywhere in the Bible where the Sabbath is referred directly as a gift. Please correct me if I’m wrong. It could be implied. Rather it was a command – a directive – for hearts that did not really desire to obey. A shadow which pointed to the reality. The Holy Spirit, on the other hand is referred to as a gift on a number of occasions. I’ve said too much already. I appreciate you reading. I really do not want to argue. I missed Jesus myself and it hurt. I had such a hard time (and still do) resting in Him. I don’t want anyone in any xCG to get to the Judgment and be horrified and surprised at the outcome. The question will not be what you did about the Sabbath, but what did you do with My Son? The Son is Life, Truth. May the gift of eternal life found in God’s Son Jesus grow more and more in all of us each day. OK, sort of “LOL” on this post. The original title makes no sense in any context, most especially the New Covenant where Jesus *is* our Sabbath Rest. The better title might be, “Jesus circumcised the Ten Commandments”. Sunday worship (exclusively- I worship God every day but honor the Sabbath because he declared it, not men) is oddly Catholic. My elevator statement to Baptists and other Protestant folks curious about why I don’t keep the Sabbath is, “because I’m not Catholic!”. The paradox is that Sunday prescription is in the exact ilk of the “traditions of men” which the Lord declared “Woe” upon. Men added to what God commanded. I think there’s a lot of different memories have of their xCG days. Different ministers applied the doctrines very differently so while you have have had the experience above, my mileage differs significantly. Hope your travels and your mission work is going well! I believe like Mark (who chooses words so aptly and skillfully), it is a heart matter wherein some suffered more because we took our ‘religion’ to heart, maybe too much so. We jumped through hoops for men (whom they convinced us sat in Moses seat) because we cared because in a real sense, to us, ministers, evangelists, and Pastor General were synonymous with God’s will on earth. Some hearts back then were wide open and vulnerable, easily wounded. Others went blithely on hardly spending a moment in self-recrimination. For our family the realization of Jesus’ Personhood being so precious (not in maudlin sense, but as in ‘precious’ or costly gem), and understanding His fullness and finished work at the cross felt like a brilliant, shining light beamed at key scriptures, like a thousand-ton weight rolling off our shoulders. That weight, at least for me, did not represent so much Sabbath keeping, paying three tithes, abstinence from unclean meats, or any of the many, many rules, some of which changed according to the whim of local or corporate leadership. That didn’t really stab me in any deep places. The true harm was done in the spiritual zones, in that feeling like I was continually waiting for the other shoe to drop, an inner nagging and dragging down, a sense of oppression that I would [never] be good enough, reach high enough, perform well enough or have any assurance of salvation or unwavering right standing with God. It was fear and in fear there is torment. But we were so impressed to put a good face on things; I doubt many would have revealed their inner struggles. But much time has passed since then and I speak too much of the problem and not enough of the solution: too little of our wonderful Savior, the grace wherein we stand and future glory He planned from the foundation of the world. It still humbles me to think of how He showed such amazing mercy, to look down on our small group and see fit to set us free from all of that (or at least give us opportunity, if we would receive it.) Even the receiving, He once revealed to me, comes outside the natural, a miracle of answered prayer. We can only love, because he first loved us..